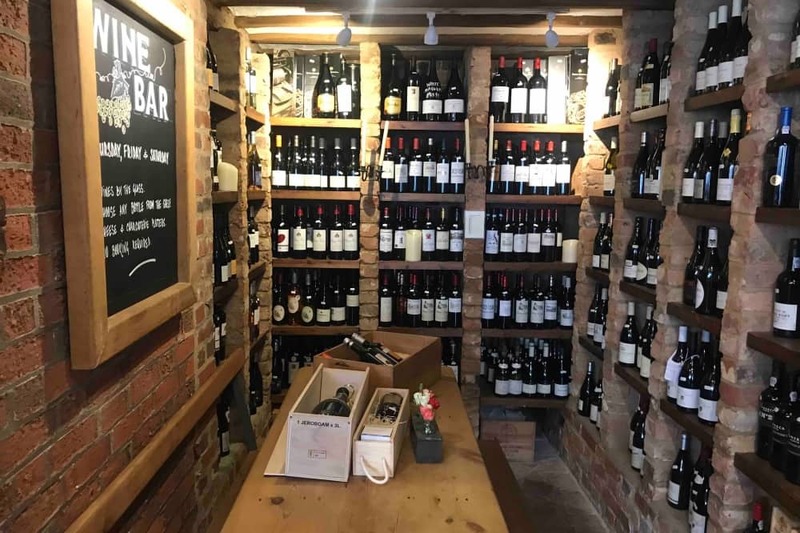 Muddy says: A 15th century wine shop and bar with a modern rustic apartment for rent, The Old Butcher’s Wine Cellar is proof food, drink and quality zzz go hand in hand. 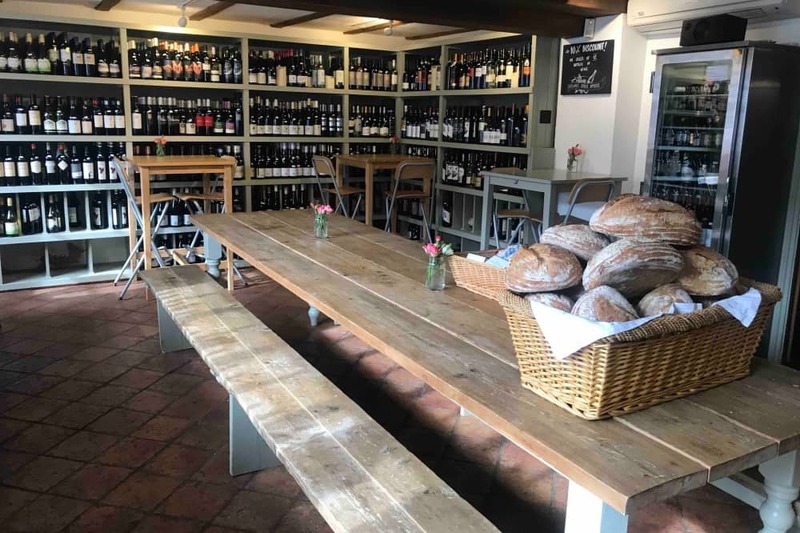 Is it a wine shop, wine bar, self-catering cottage or pop up restaurant? Well, The Old Butcher’s Wine Cellar is all four. Quite frankly, anywhere that allows us to eat, drink and roll into bed will always have Muddy’s vote. 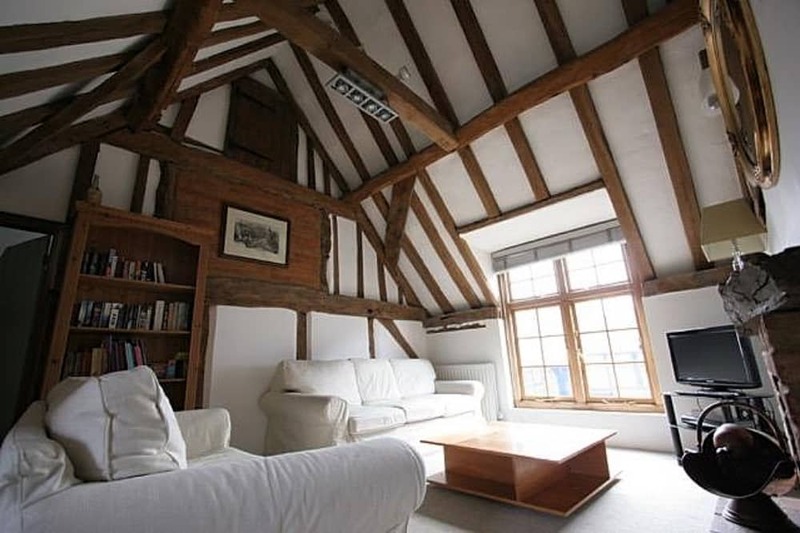 You’ll find this diverse delight in one of the oldest buildings on Cookham High Street (15th century and with the beams to prove it). It’s in a lovely spot surrounded by independent shops and gastropubs, near the foodie enclave of Bray and just 40 minutes from London. The wine shop has a fantastic rep for importing interesting and extraordinary wines from all over the world. If you’re stuck in a Pinot Grigio-Sauvignon Blanc rut, then owners Paul (he’s been in the biz for 30+ years so he knows his stuff, and then some) and Angela will be able to tempt you with something deliciously drinkable and unexpected. The majority of the wines flirt between the £10-£20 region – the sweet spot for getting the most bang for your buck. They do wine subscriptions too, if you really get into it. As if that isn’t reason enough to go, Thursday to Saturday evenings, the corks are popped and the wine bar pop ups, offering great wines that you wouldn’t get by the glass anywhere else. It’s a lovely space to hang out with your mates, enjoy pre-dinner drinks, or enjoy wine o’clock solo. Hungry? Tuck into traditional charcuterie and cheese boards, a winner with wine. Or book into one of their monthly supper clubs (follow their social media channels for all the deets). After all that drinking and eating you may want a lie down (I know I do), or perhaps you’re just looking for a base that’s close to Bray, Windsor Castle, Legoland or even an out-of-town crash pad that’s within easy reach of London. The two-bed apartment above the shop is a modern rustic delight with original exposed beams, quietly bed linens and a small courtyard to boot your kids into, if necessary.